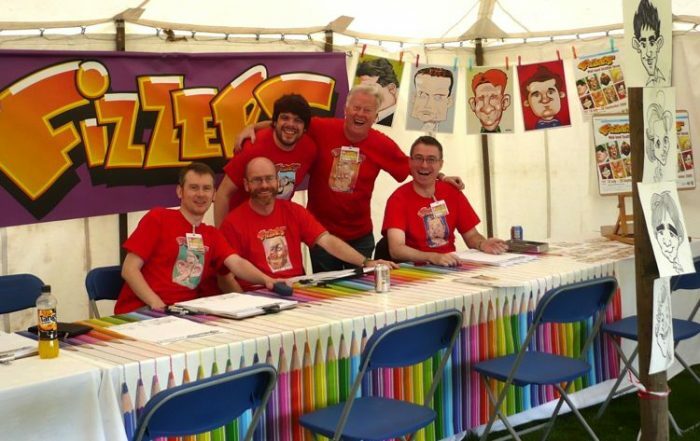 This summer season the Studio team will be found around the country, caricaturing live for visitors and guests at a variety of events. In addition we’ll be drawing at weddings, private parties and corporate events in Aberdeenshire, Ayrshire, Edinburgh, Fife, Glasgow, Renfrewshire and elsewhere. More updates to come as we get them. NB – outdoor events are at the mercy of the Scottish weather. The summer looks good so far but we apologise in advance for any last minute cancellations or early closures.